Jane Harper is a debut mystery author of 2016, so the Jane Harper books in order are included at this time with a very short list. New books are added as soon as the latest Jane Harper books are published. British author Jane Harper was born in Manchester, in the UK. At the age of 8, she moved with her family to Australia. She spent her next six years in Boronia, Victoria, during which time she got her Australian citizenship as well. After some years, as a teenager of age 14, she returned to the UK with her family where she lived in Hampshire for the next several years and finished high school. Next, she enrolled at the University of Kent in Canterbury where she studied English and History. In late 2014, Jane decided to try her hands at writing books, so she applied for the Curtis Brown Creative 12-week online novel writing course. During the application process, she submitted a synopsis, as well as a 3000-word part of a novel, with the theme of a murder mystery. The extract was set in Victoria in Australia, and during the 12 weeks of the online writing course, she managed to finish a first draft of what would become her debut novel, The Dry. She initially considered it as a practice piece, not one that she thought would see the day of light as a crime mystery book. However, since she already had the unpublished manuscript, she fixed it up a bit and got it ready to be published, and then Jane decided to enter the Victorian Premier’s Literary Award for an Unpublished Manuscript in 2015 in April, which earned her $15,000. The next month, in May, she has learned that she won the award. Not only she got the award but she also found agent representation through Curtis Brown Australia, which managed to sell her unpublished novel through auction to Pan Macmillan the very same year through a fierce bidding war. The deal was for 3 books, so the author had to start writing another two novels on top of The Dry. The day her book went to auction it was a very memorable moment for the author Jane Harper. As it turned out, it was also her wedding day. In the meantime, Jane Harper’s debut novel, The Dry, and two follow-up books have been sold in additional deals with Flatiron Books in the US and Little, Brown in the UK, not to mention that the books have been sold to be translated in several other countries into various languages. Before finishing The Dry, the author worked in the UK and Australia as a newspaper reporter for around 13 years, so writing many pages a day was really not something new to her. She could easily find the motivation and discipline to write for deadlines at a fast pace. Since her childhood she was an avid reader of both her parents being readers as well and encouraging her to read as many books as she could. Since her parents loved reading crime mystery novels, this is the genre that she started to read more as well as she grew up. The author is currently living in Australia where she is married to an Australian and has a daughter. While she was born in the UK, she considers herself more Australian both in life and as a writer. Currently, Jane is working full time on her novels, after having quit her day job as a journalist. She is, indeed, living her dream. 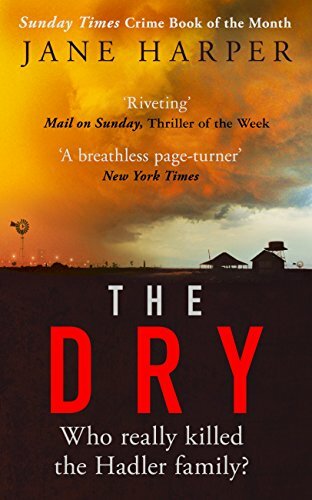 The debut novel, The Dry by Jane Harper, launched in Australia at #7 on the Australian bestseller list. Set in Kiewarra, a drought-stricken town in Australia, the book is a suspenseful page-turner featuring federal agent Aaron Falk, who grew up in Keiwarra but moved away at some point. Now, he was called back to the small town with the task of investigating the murder-suicide of someone he knew from way back, his best friend in high school. Her first book is full of Australian authenticity, and her characters are real. The author Jane Harper knows how to depict the rural life with all its desperation and sorrow, and all the local secrets that Aaron Falk has to reveal if he ever wants to find out just what happened to local farmer Luke Hadler, who seemingly killed his wife, his child Billy, and shot himself as well. The Dry has been optioned for film by Reese Witherspoon’s production company. The same actor whose company made Gone Girl into the hit movie that it became. 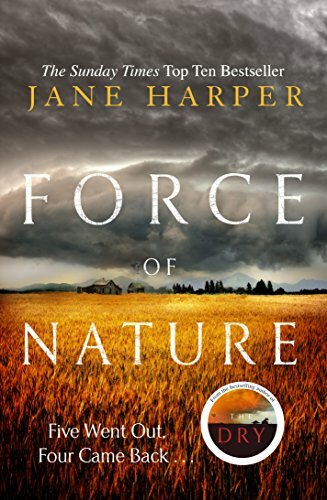 In the second novel, Force of Nature by Jane Harper, FBI agent Aaron Falk is called to a remote Australian location in the wilderness of the Giralang Ranges where he has to solve the disappearance of a woman who never came out of the woods. She’s gone missing during a team-building trip and every other woman who came back has another story to tell, and what’s worse, their stories do not match at all. The book is just as atmospheric as the first one, and the places are vividly and authentically described. Even though there are currently only two books in the Aaron Falk series, I strongly suggest you read the Jane Harper books in order. The main character has continuity and in every subsequent book, more and more of his own past is revealed. Since the author has a three-book-deal with Macmillan, there will be at least an additional book about this very character. And, personally, I hope the Aaron Falk series will not end there. In The Lost Man, the third Jane Harper book and her first standalone novel, a guy, Cameron Bright, is found dead of dehydration on his own cattle station in Australia. He was found far away from his car, literally in the middle of nowhere. His two brothers, Nathan and Bub, are trying to figure out what went down. While the story is still a murder mystery, this is more a character-driven tale mixed with intense family drama.